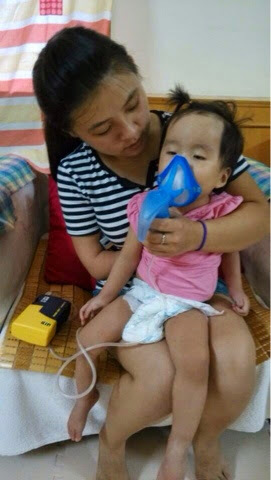 Blue Sky Healing Home News: Ailin back at blue sky recovering from heart surgery. 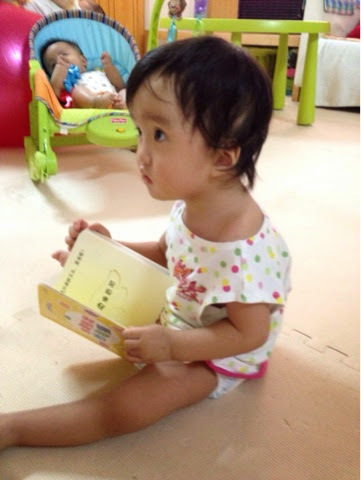 Little Ailin was born with a congenital heart problem - Tetralogy of Fallot. In late June she underwent open heart surgery and spent a month in the ICU for recovery. She gave us a few frightful moments when doctors said that she wasn’t doing too well. But she pulled through eventually and recovered further in the regular ward until she was more stable. Our staff was only permitted to stay with her at that point. Ailin didn’t react to familiar faces and had lost a lot of weight. She was also partially paralysed on the left side of her body post surgery. Ailin has now returned to blue sky and is improving with each day and slowly becoming herself again. She is also getting more feeling back into her left side and we hope will make a full recovery. Thank you to Ailin's surgery sponsors : United Foundation for Children's Health & Dempsey Capital.